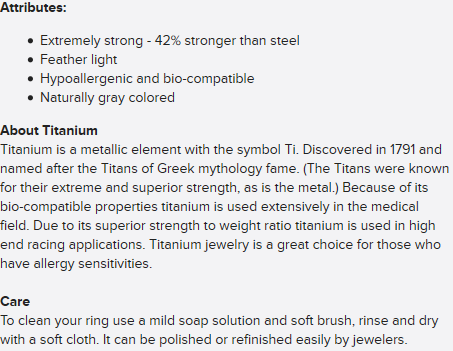 Titanium combined with precious sterling silver. The two metals superbly complement each other. Notice the sterling silver inlay has a profile to it. 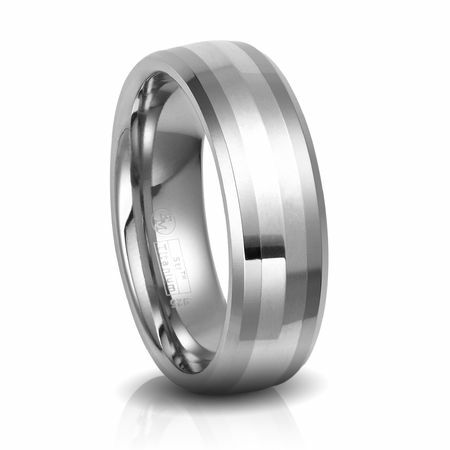 This wedding band is also comfort fit on the inside so you can comfortably wear the ring all day long without your finger swelling. The small things like this seperate Edward Mirell from the rest.